First up today is a quick recap of the performances of the three sets of contracts we tagged for observation in yesterday morning’s premarket report, the MCD Weekly $160-165 Calls. Regardless of the strike point chosen, there were formidable moves in each of our highlighted ideas. Our most recent mention of EBIO came just a week ago on April 23rd, and we felt it was time this morning to come back to this play and comment on the excellent performance we’ve seen from it since then. 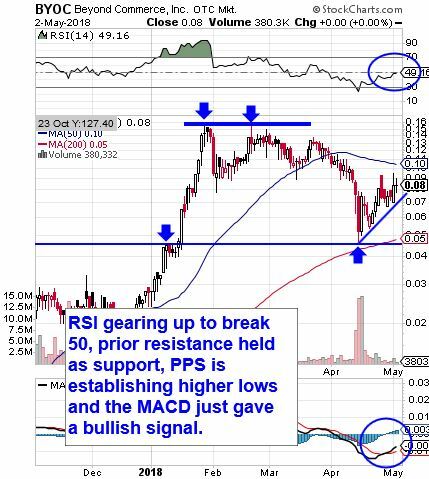 Last but not least, we have SGSI, which we slated for observation on April 25th, and from thoe low we observed that day of .0055, we’ve seen a solid double-bagger from the stock as it has run to a high of .012, for a 118% rise. SGSI reached that high yesterday on over 10X the average volume, in addition to there being quite a bit of From-4 activity in the company’s disclosure feed. We’ll continue to keep our eye on it. Our premarket report on Friday focused on two sets of options ideas from companies which had just posted earnings beats that morning. As it turns out, there was a big time opportunity in each of them. HoneyWell International, Inc. HON – We also highlighted our interest in tracking the HON Weekly $150 & $152.50 Calls for possible day-trades, and while the 152.50′s didnt see a lot of action, the $150′s were a perfect idea, trading in a mind boggling range from .01 to .52, a 5100% single session gain! Big cheers to anyone who caught a piece of that action! Hasbro came out with their quarterly earning report which disappointed, according to the company, because of the Toys ‘R Us shutdown. The stock had already registered a new 52 week low on Friday after nearly two months of backsliding, and we’re still thinking it has a ways to fall. That’s why we’re going to adopt a bearish stance and signal the HAS Weekly $78-76 Puts to start of this new trading week. It isn’t just bullish activity that draws us to a stock. Any type of increase in volatility generally causes us to take note, and the rapid fashion in which VSAR is crashing this morning is about as volatile as it gets. 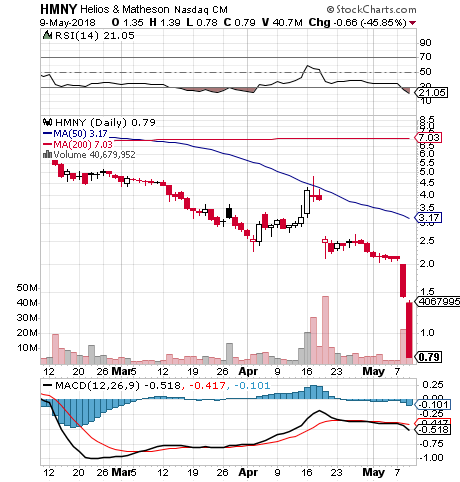 The company failed to meet primary endpoints on its HGH study, and the stock fell through the floor, losing over 80% of its value thus far. Regardless of the catalyst, whenever such a huge selloff occurs in such a hurried way, we go into bottom-watch mode, and wait for the eventual bounce. So we’ll have VSAR on our radars moving forward, watching for signs of solid support and subsequent rebound. The announcement of an enormous 10% share reduction via buyback program had exactly the effect we suspected it would yesterday, after we signaled a range of calls to observe in our premarket report. *We never discuss weekly options on a Friday without going out of our way to warn our readers that trading contracts with a weekly expiration on a Friday is exceedingly risky and should only ever be attempted by expert traders!! !